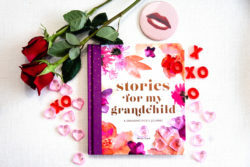 While a letter or heartfelt sentiment will no doubt make the biggest impression on Moms this Mother’s Day, if your budget allows for a little more sparkle, I’ve rounded up a few of my favorite things for all of the Mothers you adore from your children to your sisters to special friends, and more! These classic Tory Burch sandals will quickly become a staple in any mother’s wardrobe, no matter what her style may be. Available in nautical red or navy sea blue, the contrasting stripes are sure to elevate mom’s style to the next level. You can purchase her a pair for $195 here. This Kendra Scott Elaina Bracelet in metallic gold is both charming and elegant, just like your mom! I just adore it, and if you think a mother you love will too, you can purchase her one for just $36 here. With a price point like that, why not add a little glitz and glamour to every special mom’s day! With this Mydzyne Mother’s Day floral monogram throw pillow, you can celebrate special moms all year long! This lovely blue pillow features a colorful floral motif with the words “Best Mom Ever” across the front, and can be personalized with monograms for a custom gift. You can purchase one here for less than $40. If you’re looking for a gift that is sure to put a smile on a special mother’s face (and yours), then look no further. This porcelain Pfaltzgraff Mug lets you start off your day with the simple reminder, “Sooner or later we all quote our mothers.” Isn’t that so true? (Perhaps we should all get one for our daughters who are Moms, too. )For $5, you can purchase one here! Do you know a mother likely to spend much of her big day relaxing? This warm vanilla bean and rice flower bubble bath from Lollia is both comforting and luxurious, creating a fragrance escape worthy of your favorite woman. Blended with moisturizing Olive Fruit, Avocado Oils, and Vitamin E, this beauty product will help any mom feel special in minutes. You can snag her a bottle here for $50. This gift idea is very, very affordable darlings, as well as sentimental and stylish! This customizable goldtone or silver necklace from Etsy is adorned with just one word, but it is one that means so much. You can have one created for a special mom for just $31 here. For every mother that has your whole heart, show her how important she is with this Michael Kors crystal heart rose gold necklace. This locket pendant set is sure to remind her how much you care. You can purchase one here for $115. What do you think of my Mother’s Day picks? Have gift ideas of your own to share? Please feel free to share your thoughts in the comments below or on Facebook, Twitter, and Instagram.